What looks good is on Instagram! Fashion brands found a killer way to serve lewks on Instagram as they slay followers one post at a time. And there’s good reason. A Shopper Story report stated that 70% US shoppers often make impulse purchases online. 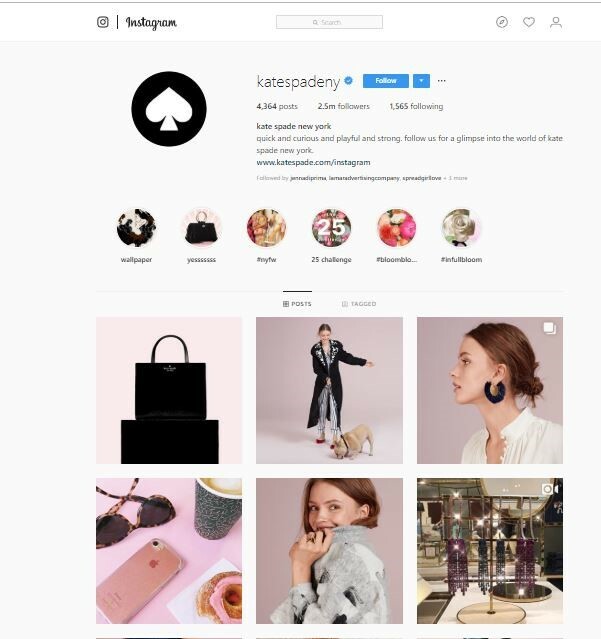 In fact, Instagram’s director of fashion partnerships has stated that fashion fans follow at least 100 fashion brand accounts. eMarketer predicted last year that Instagram’s global mobile ad revenues will surpass $6.8 million by 2018. These brands are doing more than just clothing feeds on Instagram. They are using videos and pictures extensively to tell their brand stories on Instagram. One of their mantras is to engage in commercial video production in order to trigger sales and brand advocacy. Several agencies and commercial video makers are now looking at some of these fashions brands to derive ideas and thoughts about visual engagement. You will see why we chose these eight. The label that taught us the ‘Art of Trench’ found its true soulmate in Instagram as is evident from its feed. Burberry literally makes followers crave for its clothes and accessories. And how! The company regularly includes backstage action of fashion shows through commercial video production displaying models, designers and make-up artists either around or wearing one of its collections. The stalwart fashion label never misses spotlighting celebs wearing its apparel. 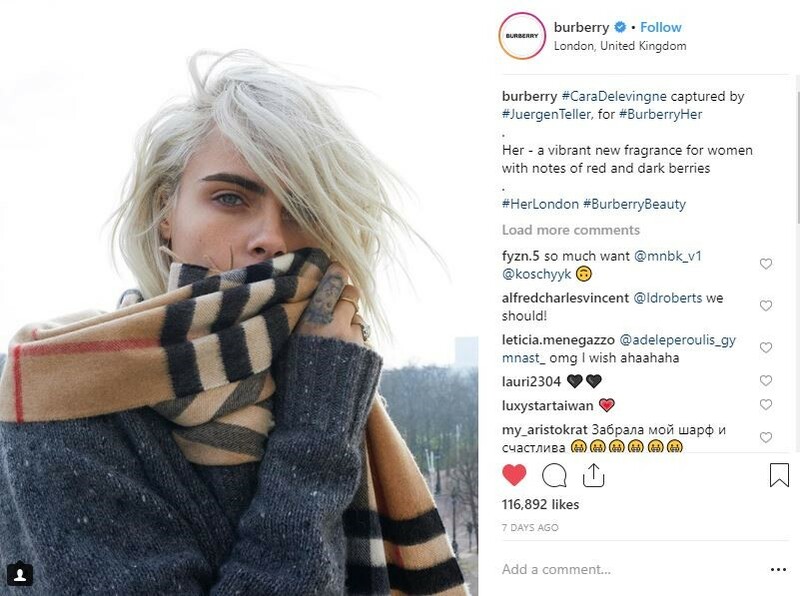 But here’s what makes Burberry truly the king of Instagram Fashion Feeds – they try to attach a new product launch with a cause or a statement beyond fashion. The latest example is ‘Her’ – a new fragrance for women. The campaign is currently featuring British actor Cara Delevigne who shares about her love for London City. Being a sports fashion brand, Nike continues to use ‘motivation’ and ‘fitness’ to get the attention of buyers and followers. 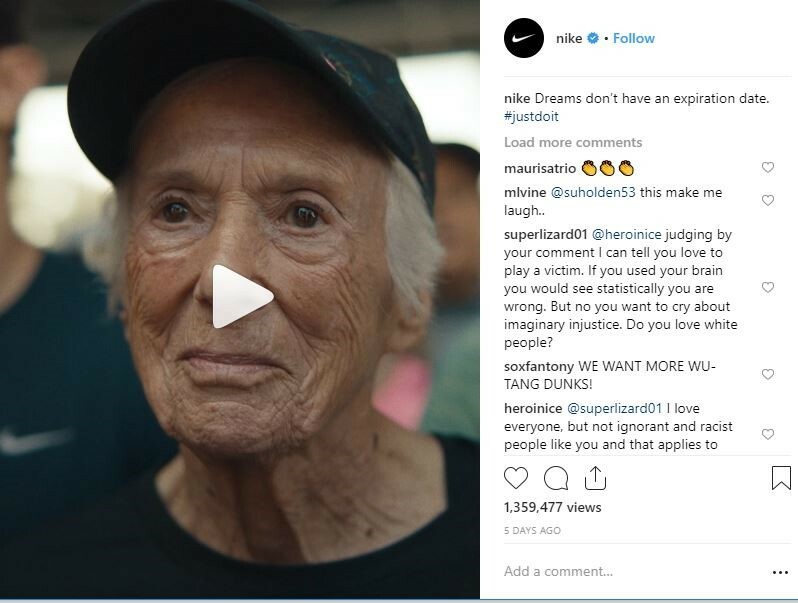 True to its original strategy of selling the idea of fitness and not really its product range, Nike’s Instagram feeds are full of shout-outs to professional athletes and inspirational posts for anyone who needs to ‘just do it. What’s noteworthy is that Nike rejoices in the achievements of not only the celebs but also of regular people. Another take-away from Nike’s feeds is how video-oriented the brand is since the core of its product range is ‘action’. Through production of these commercial yet touching videos, Nike is truly speaking to its fans visually. Kate Spade knows how to get up, close and personal with its followers and fans. Ofcourse, it does throw in its products through pictures and videos, the noted fashion label keeps the tone of its posts conversational. It deliberately creates engagement through asking questions and rewarding its followers with freebies and give-aways for commenting and participating. The fact that you can shop right from the Instagram feed or story itself makes the followers close to purchases. 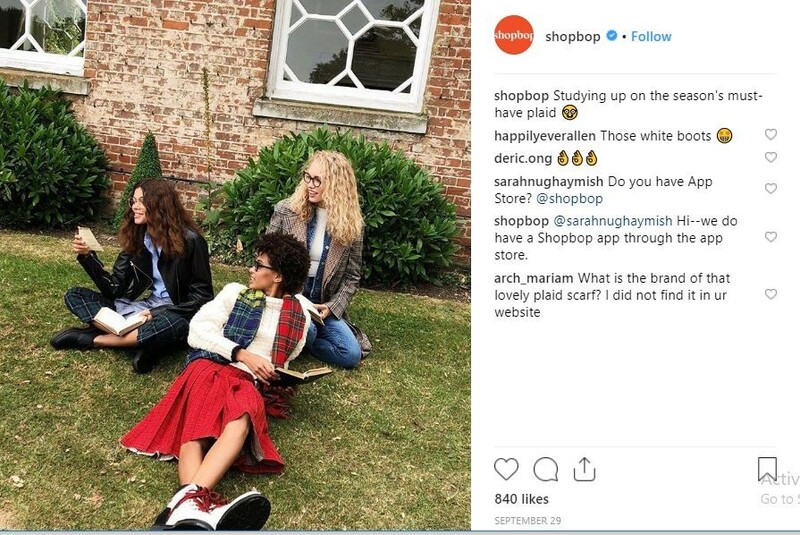 Shopbop’s strategy on Instagram is simple – blend products into day-to-day lifestyle. The feed is not just about products but also about beaches or mountains or food where fashion is blended in. A masterstroke that Shopbop has is beautifully explained in their Bio – What our team is loving (and wearing). They often feature photographs of their team wearing their own labels on streets, inside buildings or cafes. This adds so much zing into their feed narratives because followers like to see relatable people in their own element. Oh and you can shop right from the feed. Good job Shopbop! Crew smartly blends part of its brand name as a theme to showcase its products. Playing on the word ‘crew’ J. Crew created the hashtag #meetmycrew where the label featured actors, musicians teaming up to wear J. Crew and sharing their team photo on Instagram using the hashtag. Another fun hashtag that they used recently was #castmejcrew that asked followers to share photos of themselves wearing the brand. The campaign then led to actually inviting winners to have a photo-shoot with J. Crew’s nearest location. The brand also uses these fun hack videos with a Milk Makeup ‘guru’ in their stories and feeds that attract considerable engagement. Revolve is doing pretty much what JCrew is when it comes to using its brand name for promotion and influence. Their feeds are classy and follow a clear theme along with the continually featuring hashtag #revolvearoundtheworld. The hashtag features a famous landmark of the city where the team is currently attending a fashion show or an event. 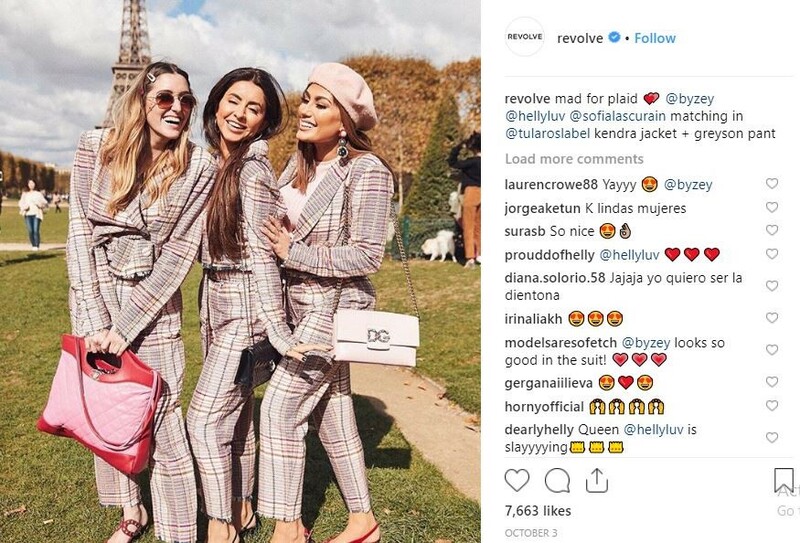 Revolve also understands deeply that their feeds don’t necessarily have to show clothes – it sometimes features places, monuments and landmarks as well. Take a deep breath and digest this: Calvin Klein’s hashtag #MyCalvins – a campaign theme from the 80s – generated more than half a million posts on Instagram. This means all this endorsement was purely organic. The marketing is smartly and tightly embedded through posts of celebrity collaborations but most of all, Calvin knows how to talk to its fans and followers. How many fashion labels today promote good body image? Monday Swim Wear sure does and it completely suits both their label and style on Instagram. One of their most successful campaigns has been #abikiniaday generating 116k posts Instawide. They often feature plus size women influencers donning a daring bikini absolutely in their own element. Which is your favorite fashion brand account? We’d love to hear your opinion. Rinku Chaudhary has around 10 years of experience in Digital marketing and he believes that everyone has knowledge to share, all you have to do is learn. He likes learning new things and believes that there can never be an end to learning. You can reach Rinku Chaudhary at Sinema Films.